There’s a lot more to Tampa than water, sun and sand. Sure, the semi-tropical climate invites you to enjoy the great outdoors year-round, but you’ll also discover an area that’s alive with art and culture, from serious to sublime. True, our enthusiastic sports fans are fun-loving people who are always ready for a party or parade, but even if you’re not into sports, Tampa Bay is filled with unique places to go, things to do and sights to see. Whatever your pleasure, you’ll find it here! And the choices of where to dine, shop or find family fun are limitless. The historic electric streetcar and the in-town trolleys are a fun and easy way to navigate the downtown/convention center core. Stroll along park-like Bayshore Boulevard, the world’s longest continuous sidewalk, for a great panoramic view of downtown Tampa. Shop the wonderful stores at Hyde Park Village and when you get hungry, you’ll have plenty of choices to dine along South Howard Avenue, known as SOHO. Later you can see some of the world’s best entertainers at the Straz Center for the Performing Arts. Other must-see venues include the Salvador Dali Museum in downtown St. Petersburg, cross the magnificent Sunshine Skyway Bridge to Sarasota’s John and Mable Ringling Museum of Art, or beat the heat with high-speed thrills and water-soaked fun at Adventure Island. In the evening, take a relaxing and romantic dinner and dancing cruise on Tampa Bay aboard the Yacht StarShip. Or scoot over to Ybor City, the nightlife capital of Florida’s West Coast, where thousands converge on the lively Latin Quarter in search of a good time and go club hopping on Seventh Avenue. Some of the greatest attractions in the country are in Tampa Bay. 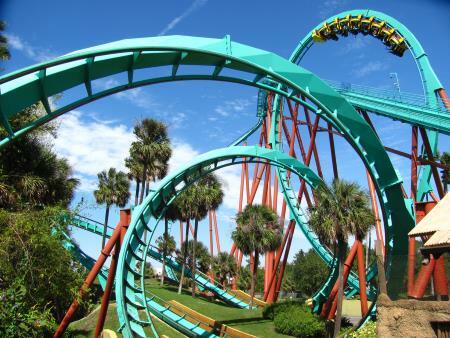 Take the family to Busch Gardens, one of the top zoos and best amusement parks in the country. And less than 10 miles away is Big Cat Rescue, a sanctuary for nearly 150 exotic big cats. Don’t miss the Lowry Park Zoo, voted best zoo in the U.S. by Parents Magazine. Then discover the awesome power of sharks at The Florida Aquarium and the Dolphin Quest Eco Tour, plus there is wonderful bird watching at the Grand Hyatt’s 35-acre nature preserve. Another awesome tour site is the MOSI, the Museum of Science & Industry, which features 450 hands-on, minds-on activities to keep the kids busy. If you’re more hands-on too, you can fish from a pier or the deck of a deep-sea charter boat. Don’t forget to mark your calendars for these annual festivals: the Gasparilla Pirate Fest in January, The Florida State Fair in February, the Florida Strawberry Festival in March, the Ruskin Tomato & Heritage Festival in May, and the Ruskin Seafood Fest in November. If you’re a golfer there are nearly three dozen public, semi-private and private courses or you can take a lesson at Arnold Palmer’s or Ben Sutton’s golf academies. And finally, if you have any energy and money left, you can be part of the action at the Seminole Hard Rock Hotel and Casino. And those are just a few of the many reasons why Tampa is a great place to retire. Want to take a party bus or charter bus to one of these awesome attractions? Click here!